Warm, friendly and generous with their time, the staff at Cardiff Bus Company are as pleasant hosts as you could wish to meet. You wouldn’t believe they have just completed a process of unprecedented upheaval – with yet more on the way. Simon is referring to Assistant Head of Operations Debbie Newton and Operations Performance Supervisor Mark Moteane, who have spearheaded a project to redirect driver administration to the control centre staff, replacing an inefficient process that required three staff on duty from 4am to 7pm each day just to manage driver requests for holidays, swaps and shift information. With the process for a driver to check holiday taking take three or four minutes, it is easy to see how a long queue could form. Aside from the obvious inefficiency, Debbie and Mark also cite the weight of pressure felt by the admin staff and potential for friction between the drivers and those processing their holiday approvals. Cardiff needed to change the process entirely. 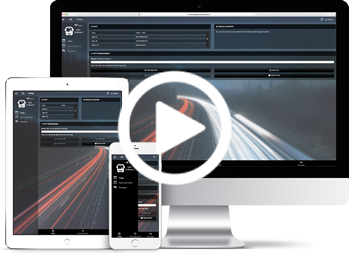 Already using Trapeze’s Duty Allocation System (DAS), Simon was informed of a new online ‘self-service’ module called DAS-Web, which would interface with DAS and revolutionise operations by enabling drivers to log in to check and manage their own duties. Just six weeks in, that the promise has been met is beyond question. Cardiff’s traffic office is a sea of calm – in fact, the only driver we even see during our visit is Bob Stinton, who pops by to give us his view on things (more from Bob later). As a result, the team have managed to close the traffic office on Saturdays and Sundays – staff have their weekends back. None of this has happened by accident, of course. Simon, Debbie and Mark planned everything with meticulous care, including a crucial four-week workshop in the canteen to provide hands-on training and assistance for all the drivers. The team quickly got the drivers on side with an effective blend of carrot and stick: “We guided the non-technical ones through; showed them how it works and gave them a manual with their own login details – but they had to sign to say they had received it so there were no excuses,” Debbie explains. The forms were kept for a week while drivers transitioned: “After that we got rid of them and kept enforcing: ‘if you want to do something, use DAS-Web’. Now all the drivers love it,” she concludes. Availability of the management team was critical throughout this process, with all numbers and email addresses published for queries. That the implementation went well is shown via a support email address the team set up just for DAS-Web – “It’s still empty,” reports Simon. The fact that drivers no longer need to visit the office, combined with the convenience of communications, has meant there is no longer a need for the canteen to be next to the traffic office– but the team are keen that they don’t lose the sense of interaction and camaraderie among the drivers. Discussions are already taking place to see how DAS-Web could be used here, too. Speaking with Simon, Debbie and Mark there is a palpable sense of excitement at the possibilities. As effusive as they are in their praise, they are equally animated when making suggestions for new functions that could help their team and drivers. 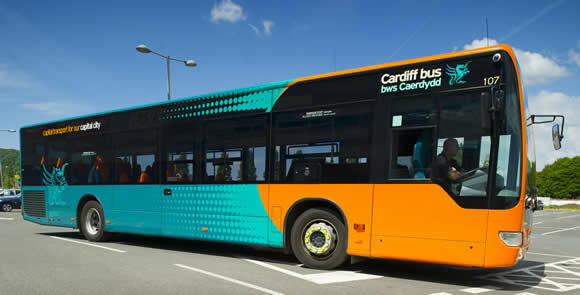 This is a new system and Cardiff Bus clearly are relishing being the first operator in the UK to use it. 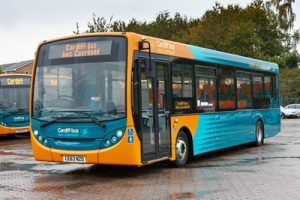 With the driver communications processes revolutionised, Cardiff are already looking to the next challenge. 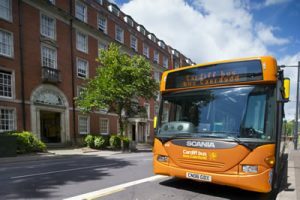 They recently worked with the Royal National Institute for Blind People (RNIB) on a ‘Swap with Me’ event where a group of partially sighted and blind people swapped places with bus drivers to share the experiences and difficulties faced when travelling by bus. There are also new buses on the way and CPC training planned for the Autumn. “It’s going to be a very busy period but we’re prepared and ready to face it,” insists Simon. “We face three years of instability, so we’re just trying to get everything working before that hits. With all we have heard today we can well believe it.